Carina joined the CSCP in 2010 and works as a project manager in the SIPS team. Her fields of expertise are sustainable agriculture, food value chains, behaviour change and dietary trends as well as education for sustainable development. Currently she is working with high-school students in Wuppertal on creative methods for engaging with the neighbourhood on sustainable consumption, mobility and energy. She is also involved in the GOALAN project on developing trainings on sustainable horticultural practises in Kenya. Carina is always keen on testing new, innovative workshop and dialogue formats that inspire the participants to become creative and think “outside-the-box”. As such, she has for instance been working with storytelling and theatre methods, movement exercises and sensual experiences (see, touch, taste, smell, hear). Carina believes in the power of personal hands-on experiences to change behaviour and mind-sets. 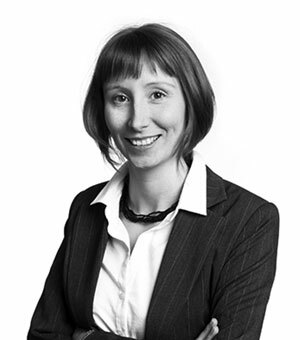 Prior to joining the SIPS team, Carina has been leading the CSCP Acquisition Team for 5 years. Thanks to this role, she has vast experience in project development as well as strategic project planning and knowledge management. During her university studies, Carina worked with Youth Action for Peace Germany, Friends of the Earth International and the Student Workforce for Sustainability and Development. In the latter, as a member of the executive board, she coordinated working groups on civic activism and sustainable technologies. Carina holds a M.Sc. in Political Science – with specialisation in Global Environmental Governance – from Vrije Universiteit Amsterdam and a B.A. in European Studies from Universiteit Maastricht. Currently, she is pursuing a second B.Sc. in agriculture at the University of Bonn. Carina Diedrich is a German national.